Windells Girl™ is our way to warmly welcome and encourage girls in a supportive freeski mini-all-girl-world within the friendly confines of a co-ed camp. Every session we offer optional all-girl activities, all-girl skate clinics, all-girl ski clinics, and all-girl activities. Sure it’s fun to show off for the boys, but sometimes you need girl time to perfect your moves in a low pressure setting. Don’t worry, we don’t completely segregate you from the boys at camp….you can still hang with the boys if that’s your style. With the help of our amazing female staff, be yourself, make new friends, and learn sweet new tricks. On-Hill – Request a female coach, request an all-girls group, or ride with a mix of other girls and guys at the same level. Windells is happy to accommodate the needs and preferences of our female campers. Windells strives to make sure female campers of all ages are comfortable in their coaching groups. This way, campers are able to build confidence, try new things, and walk away with new tricks and motivation to continue their progress post-camp. 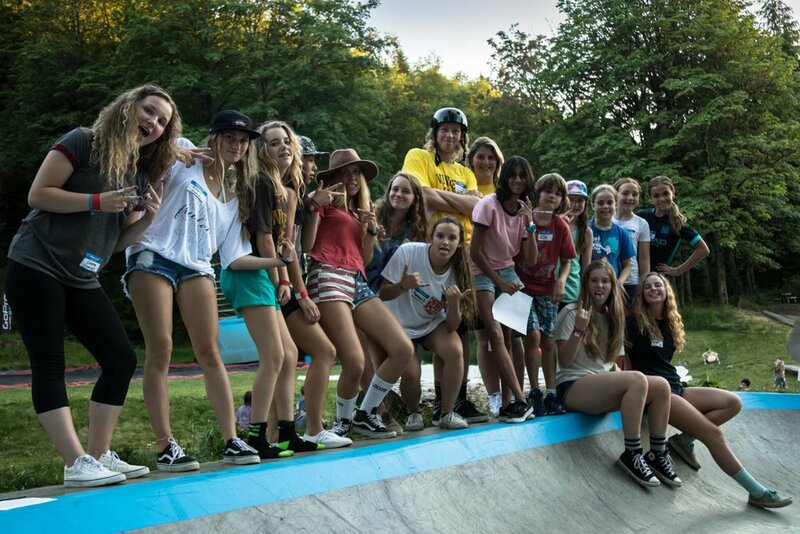 Girls-only clinics with guest pros provide an extra-special learning environment, where campers can get tips from the best female skiers in the world. Activities – Bring home some cool prizes and hang out away from the boys for a little while! Each day is packed with fun activities and contests. Count on Windells Camp sponsors to host fun girls-only activities and clinics for both adult and youth campers. Skate and BMX Clinics – Learn new tricks or jump on a board for the very first time! Skate BOB and the Concrete Jungle with other girls during girls-only skate clinics. Lodging – Comfortable “girls only” bunks are kitted out by our camp sponsors. Friendly, helpful, female counselors are assigned to supervise campers on campus and overnight. Windells staff are committed to ensuring all campers have the best possible time!